Social media is a platform which is meant for sharing photographs, experiences, articles, upcoming event information, and simply establishing a connection with family members, friends, and colleagues. Social media was originally intended to be used as a form of personalized communication, so you need to manage your social media profile carefully when advertising your medical practice in plastic surgery. 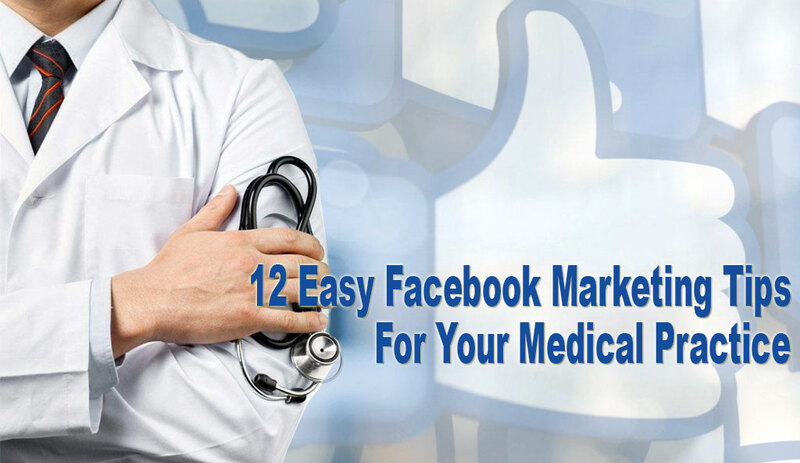 It is essential to consider these 12 Easy Facebook Marketing Tips For Your Medical Practice. Gaining more leads and more business is great, but you need to be able to measure your goals too. Do not spend money and resources on Facebook Ads posts until you figure out what you want to achieve. Your goals are bound to change, which is normal. That is why a plan must be created because it will allow everyone within your practice to work toward the same overall objective. More importantly, your accomplishments can be quantified. Every good marketing channel has certain methods and parameters which will ensure that your Facebook activities will get you the maximum results. On your company page, you should have a background picture, logo, and well-written information pertaining to your practice. All graphics and pictures need to be the right resolution and dimensions. If these guidelines are not met, it will hurt your page if you are using low-quality images which don’t load correctly for visitors. The same kind of guidelines exists for Facebook advertisements and posts. You want to make a good first impression at all times because you never know when a patient is just learning about your medical practice for the first time. You can learn by keeping track of related topics and any trends within the targeted audience of your medical practice. If there is a popular event or holiday happening soon or some piece of news is being published about their favorite celebrity, designer or musician, this can all help you figure out what influences your audience and their actions, attitudes, and opinions. After all, the way in which people alter their appearance generally has a lot to do with fashion trends amongst their favorite celebrities in the media. 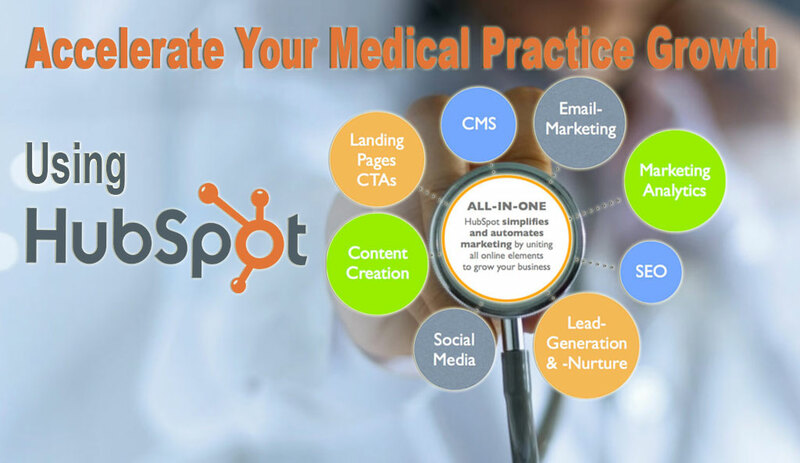 By staying on top of trendsetters and what our patients are into, it will be easier for a medical practice to create the right offers and content which appeals to them. Your Facebook strategy needs to include an introduction to your practice and what it is trying to accomplish in the plastic surgery market. Be friendly in your introduction and do not be afraid to display pictures and descriptions of all your staff and team members. Include photographs of the exterior and interior of your practice, such as the treatment rooms and waiting rooms. The more personal you can make it look, the more a patient will feel comfortable going there. A Facebook fan page for your business will be a great place for people to go to learn about your practice. This page can have introductory messages with brief conversational descriptions and website links. Do not be too promotional here because you just want to get people to consider your practice as a viable option for themselves. After you have grabbed their attention with your content, then you can focus on directing more targeted communications toward them. Eventually, you will make them offers that will turn them into leads or actual customers. Do not forget that Facebook is supposed to be a social environment. Therefore, start it off by having your colleagues, friends and family members going to your Facebook fan page and liking it. They can also share your Facebook posts with their friends which will drive more word-of-mouth traffic to your page as well. Facebook gives you a lot of ways to advertise in your regular posts. You can use videos, carousels, slideshows, or their Facebook Messenger online software. Based on the characteristics of your audience, you can customize your ads for them appropriately. Facebook is a great setting for content sharing, especially educational information, offers that are highly targeted, and thoroughly detailed explanations about anything related to your practice. Your content needs to address all sorts of possibilities and solutions for your audience. This is how you can guide people throughout the various stages of the decision-making process. You should not use Facebook to post up advertisements that are redundant and get seen repeatedly. Facebook is still a social tool and leads can only be gathered and converted if the rules are followed. One crucial rule is to offer your audience many social or information posts whenever they present an offer. You will be able to build the credibility of your practice if your posts are consistently non-promotional. Periodically making Facebook offers to a customized audience is the best chance you will have to be successful. Obviously, 40-year-old women are more likely to want a facelift than men in their 20s. That is why setting the right characteristics for your target audience is important. This will allow you to create messages which are highly targeted at them and will then increase the chances of you converting them successfully into customers. The beauty of Facebook advertising is that it lets you define the audience that you want to market to. You can choose from over 30 characteristics which are connected to interests, demographics, connections, and behaviors. You can even develop lookalike audiences which are very similar to those who currently follow you. After these characteristics are defined, these new unique groups of audiences may be used repeatedly. This is how your organic traffic will grow in your practice. When you make a Facebook post which includes a procedure, story, blog or resource, there needs to be a link in there which takes people to a page on your website with the same relevant content. That way, these people will want to explore your website and will likely find other content along the way. Use a call to action button with all shared content so that you can obtain people’s contact information after they visit your website. This will allow you to stay in contact with them. Facebook comments can be both positive and negative. As a professional, you don’t want to ever get too personal with people. Whether they are complimentary or critical of your practice, you need to respond with politeness and try to address whatever concerns they have in a respectful manner. Of course, you’ll want to be sure that the person is actually a patient of yours and that their comments are relevant to your practice. You don’t want to apologize for something that your practice didn’t even do. If the person posts a positive comment, this can be an opportunity to pass on a small promotion in your reply after you thank them for their kind words and express that you’re happy that you were able to satisfy their needs. If the Facebook post is too negative and does not pertain to any real concern or problem that a patient has, then do not get caught up in a response to them. Just send an offline invitation to address their concerns. If you can resolve their problem, kindly ask the patient to update their original post. This will not always happen, but it never hurts to ask. If you were truly able to satisfy them, it could mean more referrals to your practice. Before and after pictures are very powerful. Since plastic surgery deals in aesthetics, it is crucial to show how your plastic surgery has transformed your patients. This will ultimately help new patients make their decision to use your services. To get these videos or pictures of your patients, you will need to get their written consent first so that you can legally use their images or videos in your practice’s promotions, especially on social media platforms. The consent form needs to specify social media too because some patients may not want their facial surgery results displayed to millions of Facebook users. So, you need to word your agreement carefully. If you can manage your Facebook ads properly, it can give you great rewards. You’ll want your ads to appear in the newsfeed which Facebook users see on their accounts. To accomplish this, you need to outbid others on the right keywords for your marketing campaign. This is similar to the bidding process of Bing and Google’s pay-per-click advertising platforms. Then, when your targeted audience searches for that keyword or one similar to it, your ad will appear in their newsfeed during a specific time that you want it to. The outcome of your bidding is determined by your maximum bid price and your amount limit on daily bids. 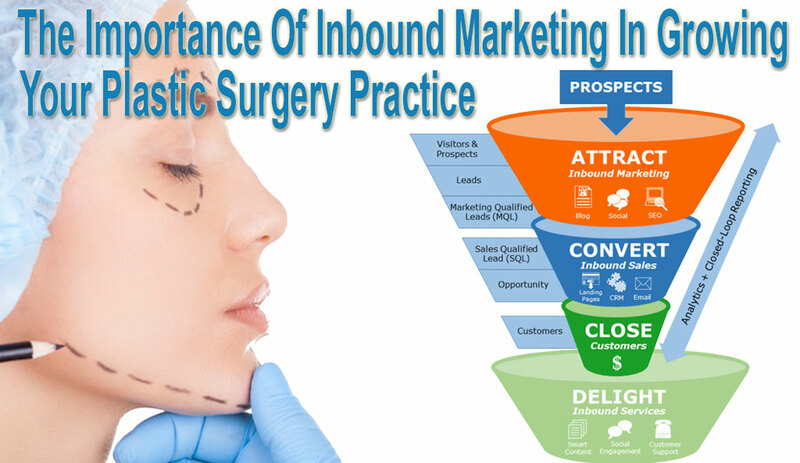 Plastic surgery and beauty enhancement businesses will find Facebook Ads to be quite effective in making people aware of their brand and helping them from the consideration stage to the conversion stage. Facebook is simply a great way to get your plastic surgery practice promoted properly. If you are inexperienced at inbound marketing, then a professional agency like Peak is available to assist you in creating a digital inbound marketing program. They will go over the best marketing strategies which can help your practice build leads and get better Facebook results. I am the founder and Inbound Marketing Strategist at Peak Marketers, a San Diego based full service digital marketing agency specializing in Inbound Marketing. Our services include: Inbound marketing, Inbound growth driven website design and development, Content Marketing implementation and execution, Social Media Marketing, email marketing and SEO. With more than 15 years of experience in the field of digital marketing, I specialized in exciting field of Inbound Marketing since 2015. As HubSpot partners, we attract strangers to your website through providing exceptional content and then turning them from visitors into leads, customers, and finally happy promoters of your brand. (attract, convert, close and delight. ) We have helped a wide range of businesses from start-ups to global enterprises to excel in their field . Above all, I am an entrepreneur at heart and fully understands the many challenges that businesses face. I am an expert in driving growth with a combination of relationship building and online marketing. This powerful combination of modern marketing and business acumen has proven highly successful in leveraging the modern tools, strategies and tactics best-in-class companies use to gain market share and boost growth rates.